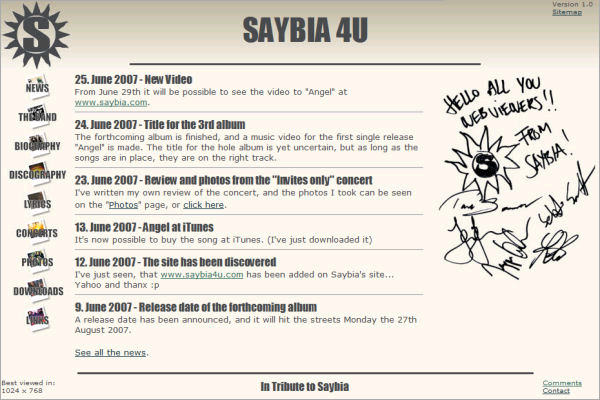 I bought the site http://www.saybia4u.com August 30th 2006, and started the collection of information, and building of the site. The following months were spend with structuring and typing the information and the layout. December 1st 2006 the 1.0 version was finished. I contacted several search-engines, so the site could be crawled, and everyone could find the site through searches. 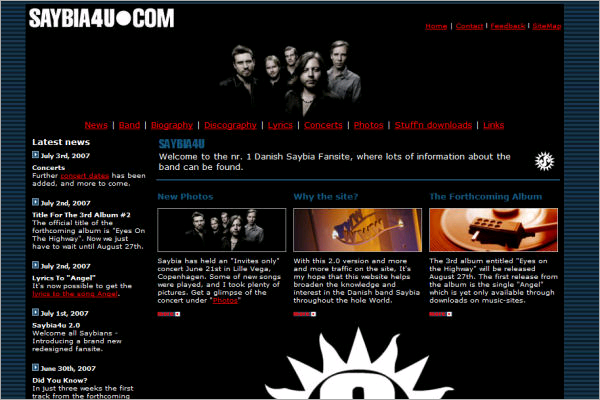 In mid-June 2007 it was time for a renewed design, and tuning of the content. The Bands 3rd album were soon to be released, and I thought that this was a good reason to renew the site (They also got a new layout on their site). July 1st 2007 the 2.0 version were launched, and the result was a much more cool site. May 10th 2008 yet another version (3.0) were launched, with a brand new backend-system (CMS), making it easier for me to manage and add new feaures 4 U. After a couple a years it was time again for a new design. At the same time the CMS gave me a hard time, and made it difficult to cope the many restrictions from the search engines. 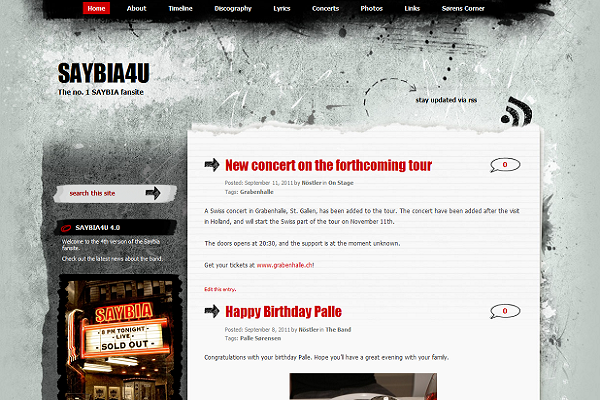 The crash of the site in August made the decision easy, and of September 13th 2011 the 4th generation saybia4u got online. Eindhoven, 30-october 2011, love your music, thanx for the concert!